Thought the Discovery SUV needed more power and extra off-road capability? Then good news; the Discovery SVX is here. 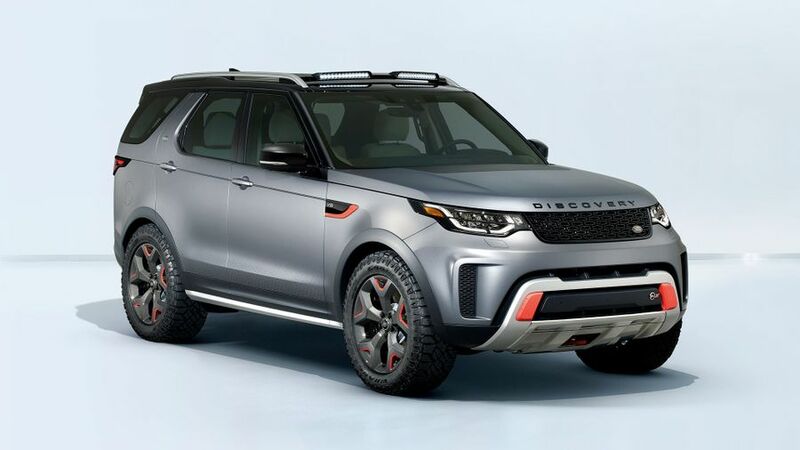 Land Rover has revealed an upgraded and updated Discovery range, headed by a new, extreme model called the Discovery SVX. The new car takes the standard Discovery and cranks up its off-road credentials and power. Under the bonnet is a supercharged 5.0-litre V8 engine with 525PS, and its suspension and tyres have been upgraded to give it more capability in the rough stuff. The Discovery SVX has been created by (Land Rover's sister company) Jaguar’s Special Vehicle Operations department. It’s the first vehicle to wear an SVX badge, which denotes even more all-terrain capability than standard Land Rovers. It sits beside two other badges used on other models: SVR for extra on-road performance and SVAutobiography for extra luxury. 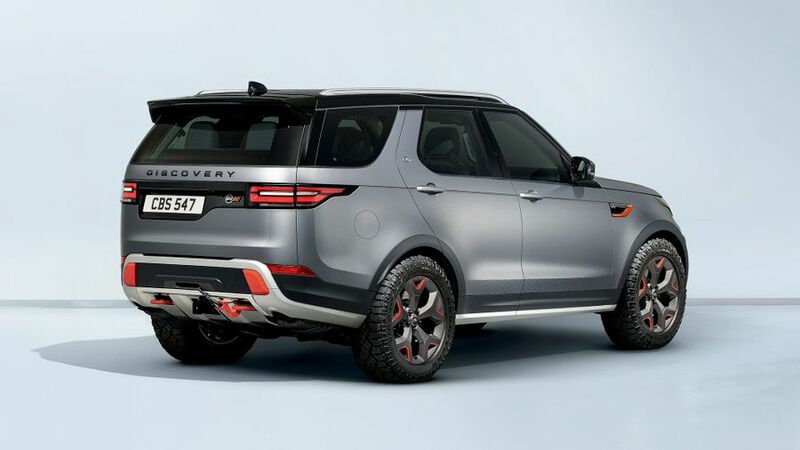 Technical highlights on the Discovery SVX include, for the first time, a Hydraulic Active Roll Control system, which increases the articulation of the wheels to extend traction off-road, while at the same time reducing body roll when cornering on the road. It also has improved approach, departure and breakover angles for off-roading, thanks to higher suspension and larger wheels and tyres. The looks have been beefed up too, adding different front and rear bumpers with protective skid plates, and various elements finished in Rush Orange, including the exposed metal recovery eyes and a rear-mounted electric winch. The paint is an exclusive Tectonic Grey finish, and two light pods sit on the roof for extra night-time illumination. Production of the Discovery SVX begins in 2018. If you’re interested, you can register your interest with Land Rover, but prices won’t be confirmed until next year. The SVX sits at the top of a revised Discovery range that now includes the option of a 2.0-litre petrol engine on S, SE, HSE and HSE Luxury models. The four-cylinder, turbocharged motor makes 300PS and means petrol-powered Discovery owners can bring their CO2 emissions down to 222g/km. The existing 3.0-litre, six-cylinder petrol Discovery emits 254g/km. The Discovery also now includes a 12.3-inch digital instrument screen as standard on HSE and HSE Luxury models, and all cars get a 10.0-inch touchscreen infotainment system, with 4G wifi connectivity on SE models and above. Interested in buying a Land Rover Discovery?